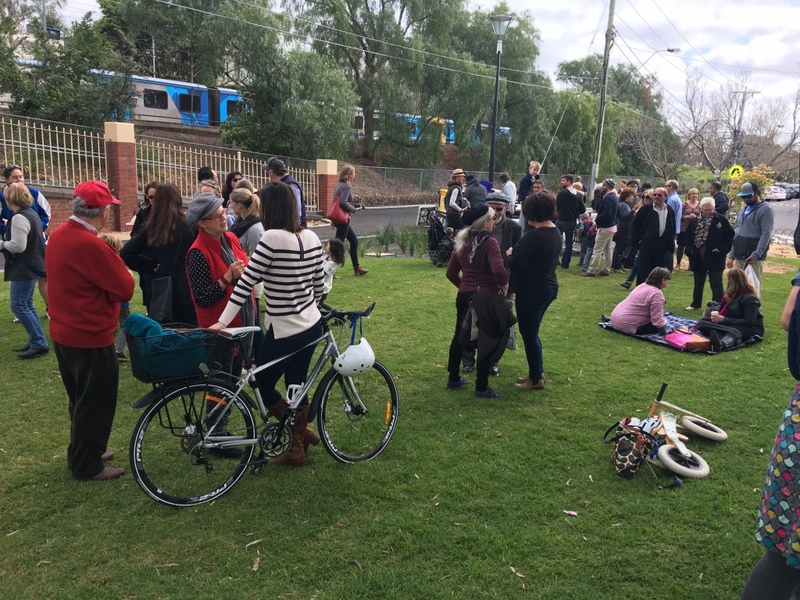 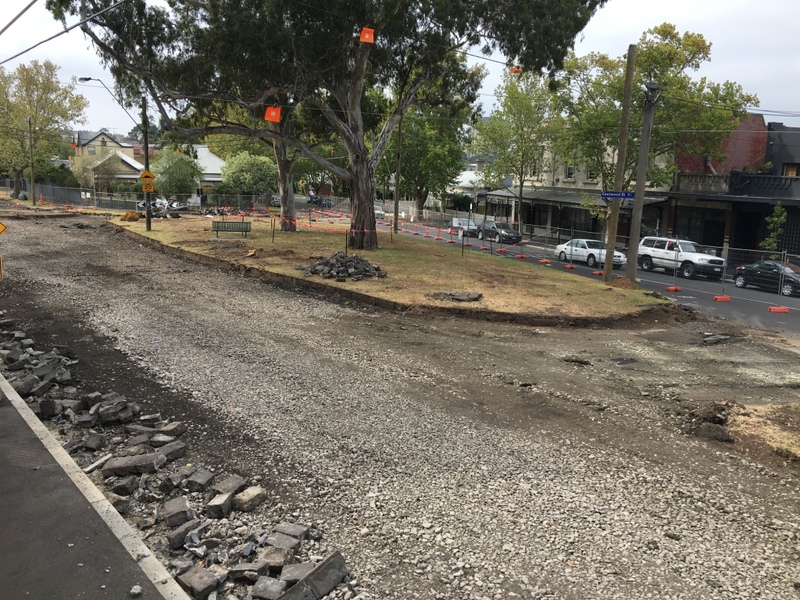 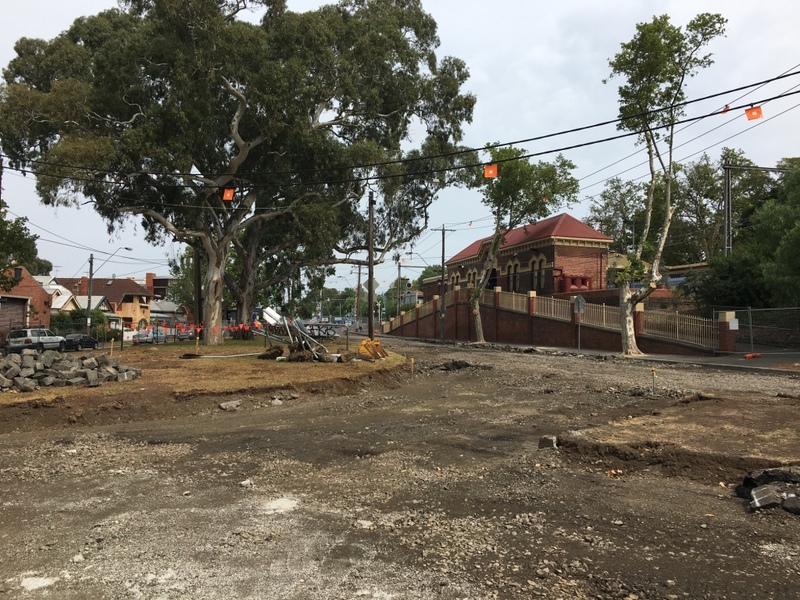 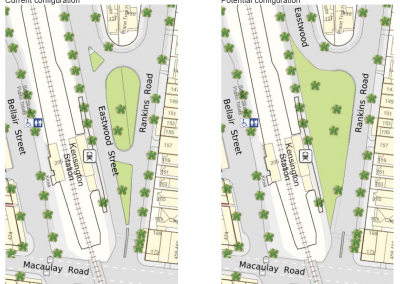 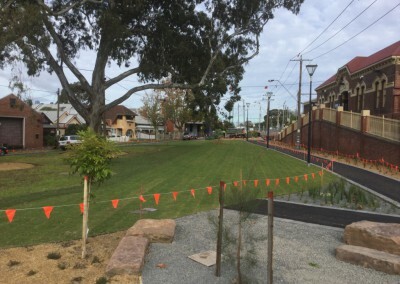 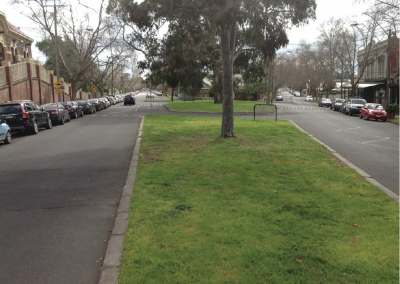 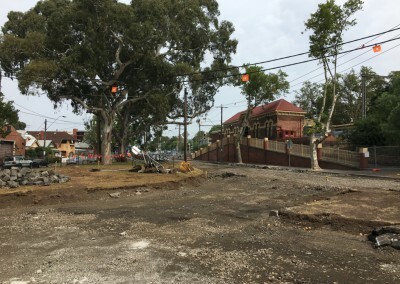 In a design proposed by Councillor Rohan Leppert, a stretch of Eastwood Street, between the median strips and train station, would be blocked off to vehicles and planted with grass and trees. 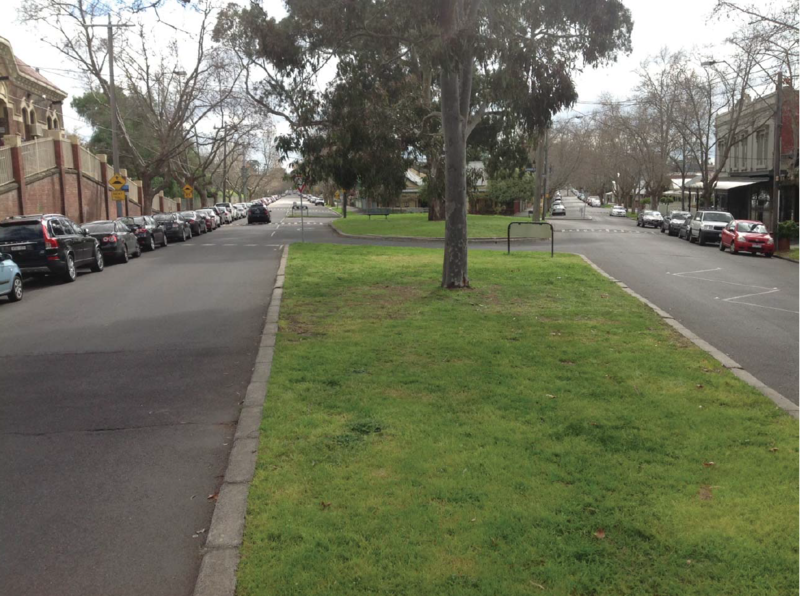 The result would be a 1600-square-metre park on the doorstep of Kensington’s shopping strip. 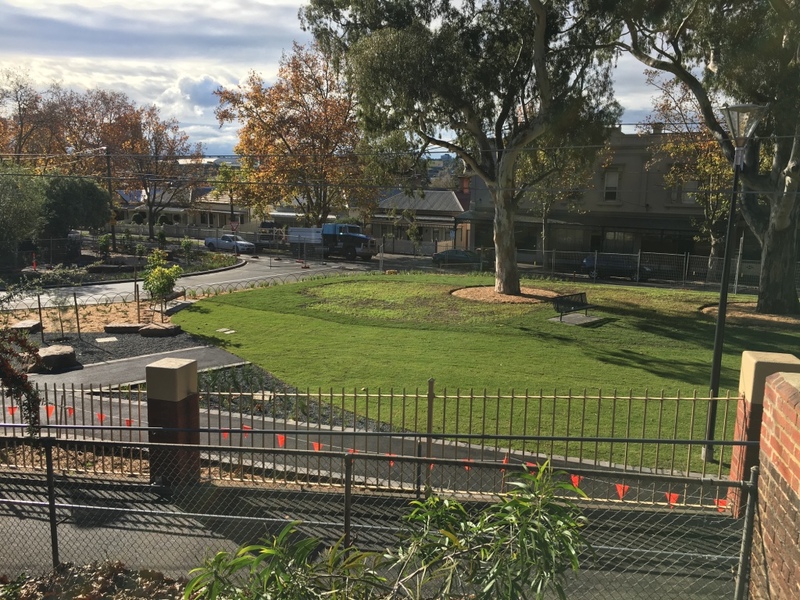 Three years, and many motions, designs and community consultations later, the idea came to fruition: a brand new park next to Kensington station has opened! 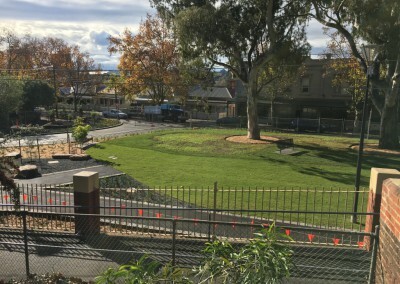 The park is above and beyond Council’s Open Space strategy, and is a highly valued new local park for a growing Kensington community. 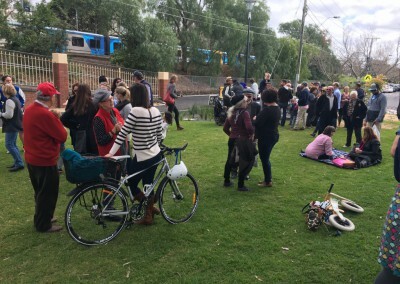 It is also symbolic of The Greens’ ambitious environment and community policies: where there is a shortage of green public open space within a walking distance of residential areas, and where there is an expanse of under-utilised bitumen, our policy is to build new parks. 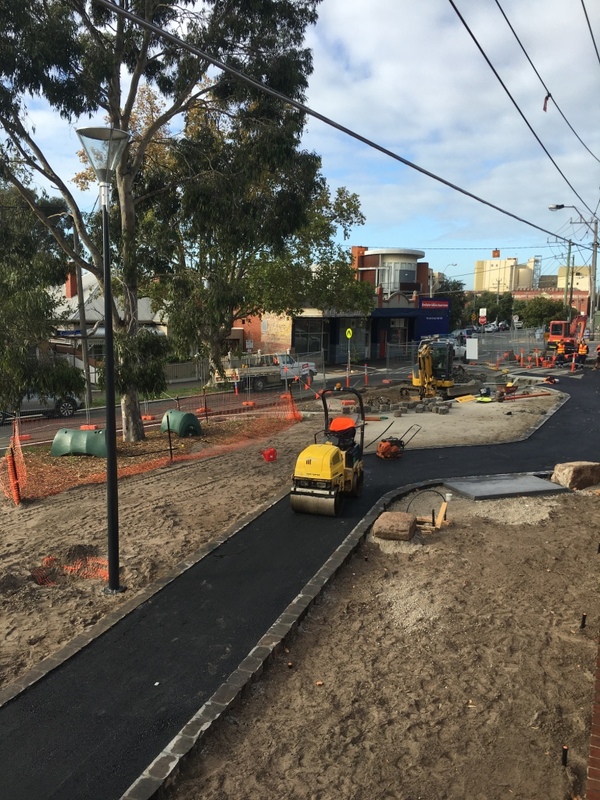 That’s what we’ve delivered on, and that’s what we’ll continue to push for. September 2016: The park is officially opened to the public! 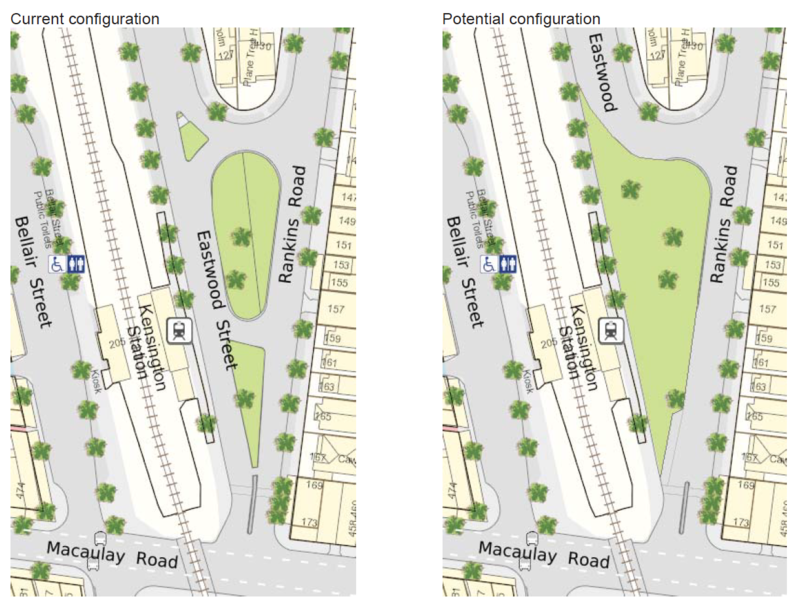 Currently being designed is an expansion of Gardiner Reserve in North Melbourne: another park proposed by The Greens in this year’s Council Plan and endorsed by all Councillors. 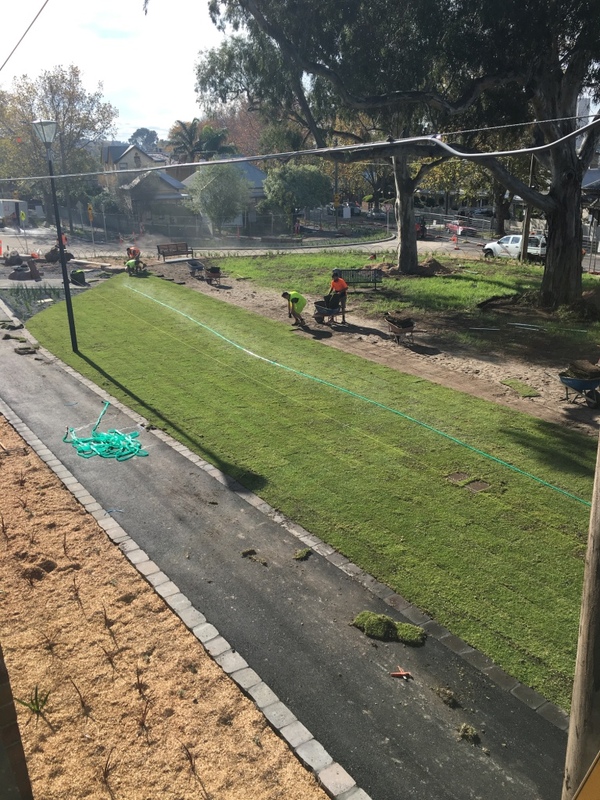 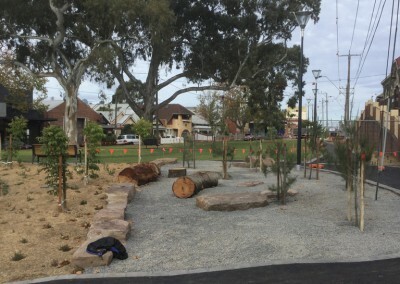 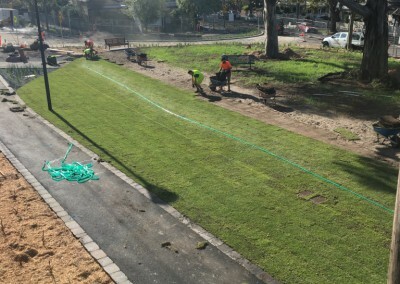 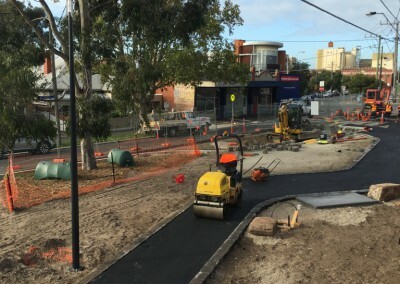 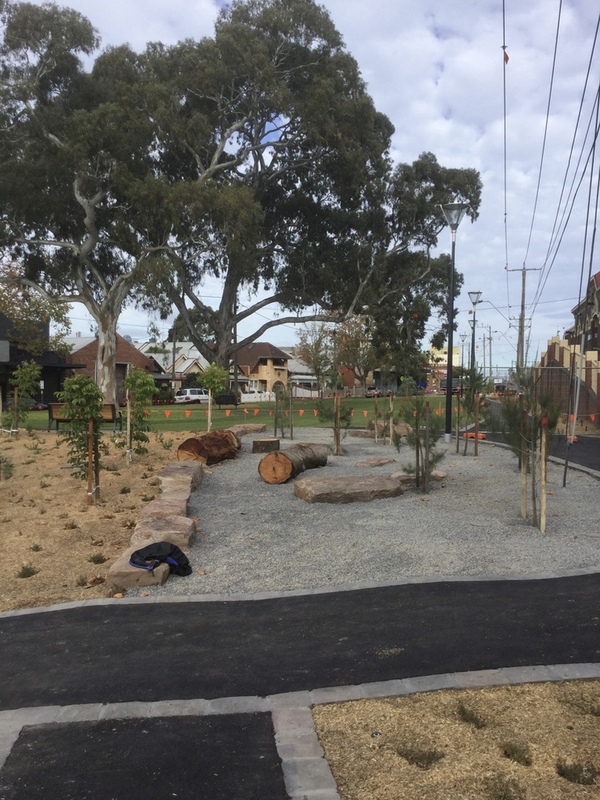 Council is also creating new parks in West Melbourne and Southbank this year and next.